In South Africa, there are various forms of gambling such as casinos, sports betting, limited payout machines (in clubs, pubs, restaurants, etc), lottery, online gambling, scratch cards, etc. Opportunities to gamble are readily available and may cause some people to become addicted to gambling. 53% Is employed on a full-time basis. The South African Responsible Gambling Foundation describes a problem gambler as someone who continues to gamble despite the negative consequences or impact it may have on their lives and they have no desire to stop. For example, someone who continues to gamble when they’re in debt or facing financial challenges. The biggest negative effect of gambling is the loss of money. 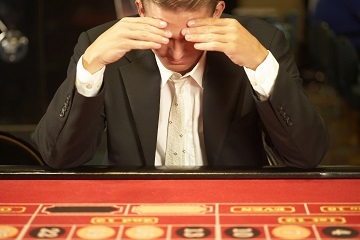 If someone has a gambling problem and loses a great deal of money, this can result in debt, asset loss, bankruptcy, fraud, theft, job loss or poor performance at work, stress and even suicide. If you’re concerned that you may have a gambling problem, try completing the National Responsible Gambling’s online checklist. The South African Responsible Gambling Foundation offers a treatment programme for those who’d like help with their gambling problem. They offer a 24 hours and 7 days a week counselling line. You can access free information, support, assessment and face-to-face counselling with an appropriate mental health professional. These services are offered countrywide and are free of charge. You can find more information about the counselling programme here. If you feel that your gambling is a problem, you can request to be self-excluded. This means that you can voluntarily exclude yourself from gambling activities. Once you have made a self-exclusion agreement with the gambling companies (casino’s, sports-betting, online gambling, pubs with gambling facilities, etc.) they must close your account and monies in your accounts must be returned to you. They must also remove your details from mailing lists and other marketing databases. They have a right to block you from online gambling and gambling venues have the right to take reasonable steps to prevent you from gambling. Any person can apply self-exclusion and if you wish to stop gambling for at least 6 months, you’ll be supported in your decision to stop. The National Responsible Gambling Programme will offer you and your family counselling and support during your self-exclusion period. How do I request to be self-excluded? You will have to request this via the Western Cape Gambling and Racing Board or through the security departments of gambling facilities. What if I don’t comply with the self-exclusion? It’s your responsibility to comply with the terms of your self-exclusion. You may be denied access to gambling facilities and, in certain cases, you may face charges of trespassing. Your request for the lifting of your self-exclusion order will only be considered after the 6-month period has passed. You’ll also have to prove that you’ve attended counselling sessions with a treatment professional. This will be provided free of charge by the South African Responsible Gambling Foundation. Counselling services are confidential and free - 24-hours a day, 7 days a week.